Is anyone able to come along to Leap of Faith? The course is available to the public and Wild Place Project visitors on weekends and holidays and daily for booked birthday parties, groups and corporate events. It is suitable for adults and children age 4 and over. What else does my Leap of Faith ticket give me access to? Tickets to Leap of Faith give you access to the ropes course, toilet and cafe. If you want to see the giraffes, wolves, cheetahs and other attractions at the Wild Place Project you have the option to add Wild Place Project tickets to your basket at the checkout. No open toed shoes! Trainers or boots are best. Please wear sensible, weather appropriate clothing that you are comfortable in. Leap of Faith is open to children aged 4+. 21 stone is the maximum weight we can accommodate. We do not have any height restrictions in place. Rest assured that poor weather will not dampen our spirits! Our team will still be able tosafety assist you in all activities and make sure you have a fantastic experience, whatever the weather. Is Leap of Faith safe? Absolutely! Our fully-trained instructors and state of the art of equipment will ensure that you have a safe but exhilarating time. We usually open February to December, but this is weather dependent. Online bookings for next year are now open. Please also feel free to contact us on info@leapoffaith.co.uk to enquire about bookings at certain times of year. Please do make our team members aware of any medical conditions and bring any medication or inhalers with you. Who isn’t able to participate? We are unable to accommodate pregnant women, anyone with spinal injuries, anyone with a heart complaint, anyone who has recently had surgery or children under the age of four. Can I book for young children? These activities are perfect for the whole family from the age of 4 to adults. No, each visitor can pick and choose which parts of our course you'd like to do. 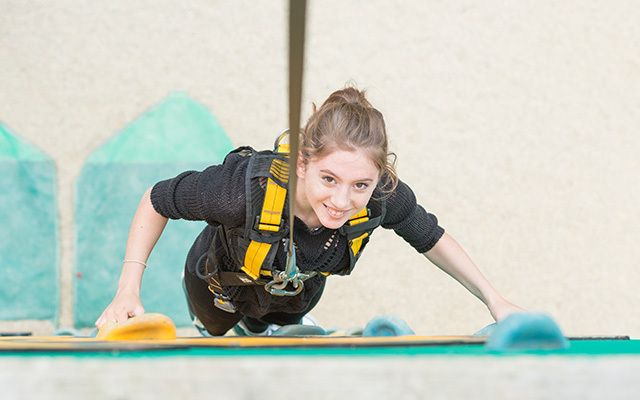 The full experience is £14/person and includes our namesake Leap of Faith jump, 11 different climbing activities and Bristol's only Giant Swing. Individual activities start from £5/person. Absolutely! For parties of 18 people or more (including school and corporate groups), please call directly on 01174285602 to discuss your requirements and book. Any booking for 8 people or more includes complimentary access to our party yurt for 45 minutes, including music and food, and a t-shirt for the guest of honour! I'm already a Wild Place member - is my ticket cheaper? Yes, you can book a members' ticket below. Please note that you will need to present a valid membership ID on the day of your visit. No, payments made to the Wild Place project are non-refundable. Tickets can, however, be transferred to another person. We may also be able to accommodate a change of time or date, providing we are given at least 72 hours’ notice and have flexibility in our schedule. Leap of Faith tickets provides access to the adventure course, cafe and toilets. If you would like to explore the Wild Place Project and see the amazing range of animals and exhibits, then you have the option to add these to your basket at a discounted rate at the next stage of the checkout. All activities are suitable for those age 4 and over. Can I book for a birthday party? Yes, absolutely! Choose from our award-winning Adventure or Extreme packages to make your party booking! A booking confirmation, party invitation template and disclaimer form will be emailed once payment is received.